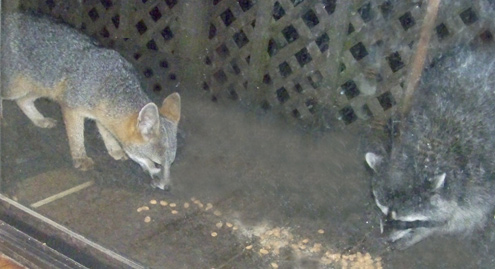 This fall four foxes began showing up on my deck just after dark each evening, as has been previously reported. Although skittish, they take turns grabbing slices of bread from my hand. 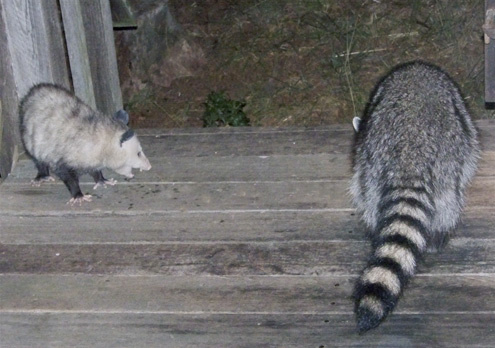 They eat peanuts off the deck even when the door is open and we are only three or four feet apart. 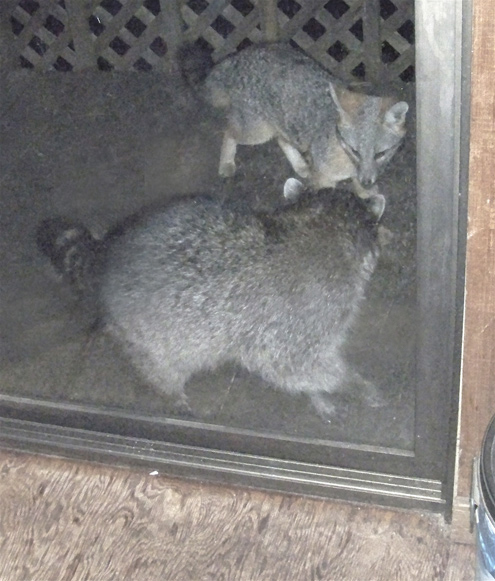 However, this is also what the local raccoons do, which has led to several encounters. On more than one occasion, a raccoon has given a fox the evil eye, causing the reynard to scamper off. A year ago, I dealt with the same problem; only that time the adversaries were a possum and raccoon. It took a bit of planning, but their historic suspicions notwithstanding, I was able to work out a ceasefire. To bring both sides to the negotiating table, I placed a couple of piles of peanuts on it. 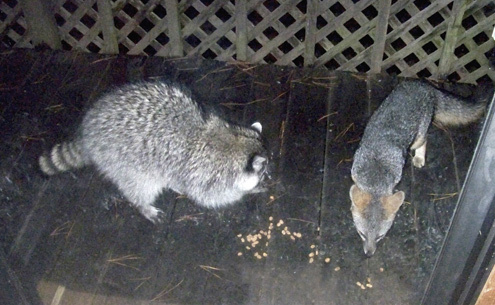 Over several nights, I brought the peanuts closer and closer together until possum and raccoon were finally eating nose to nose in peace. 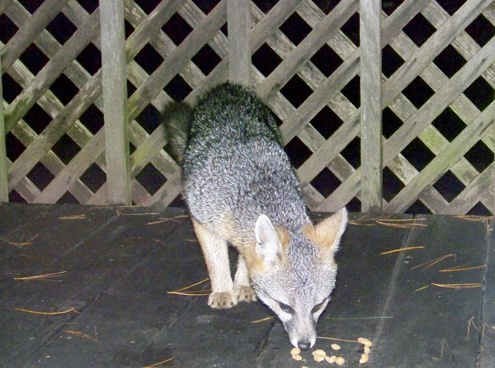 A week ago I began trying the same strategy in fox-raccoon negotiations, starting with peanuts spread fairly far apart. Hope you’re enjoying peace, good company and good grub yourself this Thanksgiving!